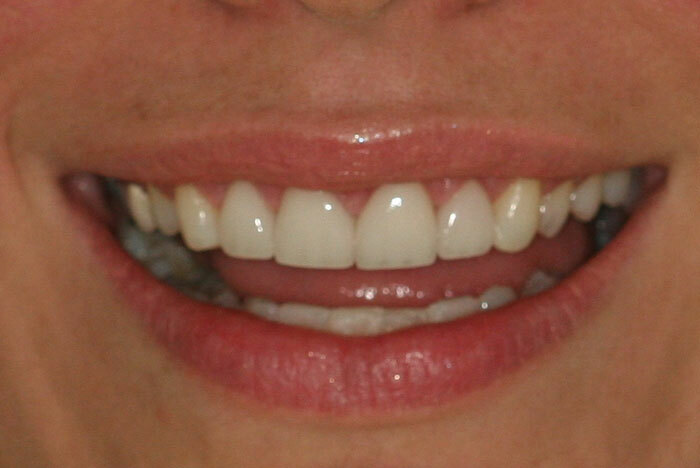 a 30 year old beautiful lady came to Gables Perfect Smile to find solutions for her frustrated result of her smile. 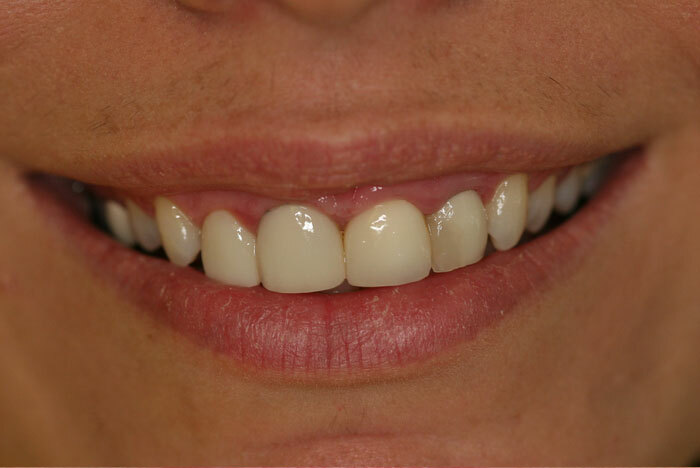 Dentist that originally placed the crowns did not considered the gummy smile to be important in her outcome, the quality of the porcelain it is poor and there were not harmony in the size comparing to teeth next to them. Dr Ospina had designed her smile considering a procedure with Laser technology as you see in the photo right front tooth just had gum removed before taking this photograph. There is not even blood in the procedure!! this allow Dr. Ospina to proceed immediately with the temporary restorations and patient will see the results of her smile right there ... Patient is able to go home and decide what changes will do for her smile and ask Dr. Ospina to proceed for the permanent restorations.